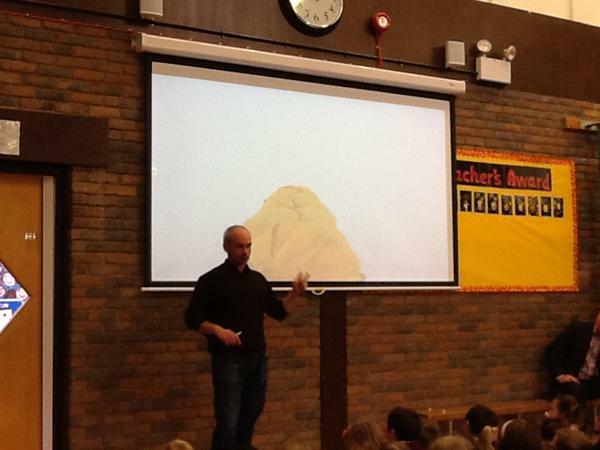 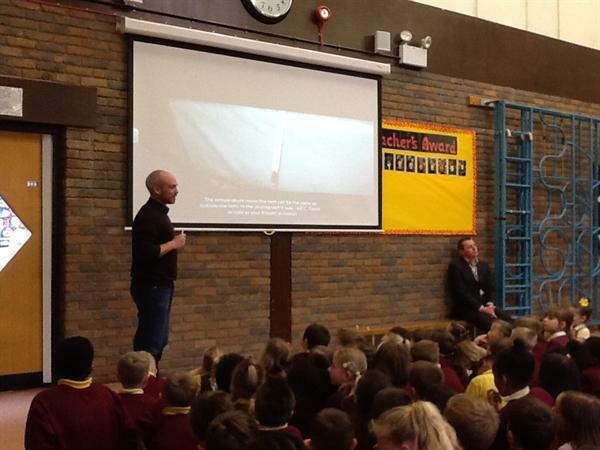 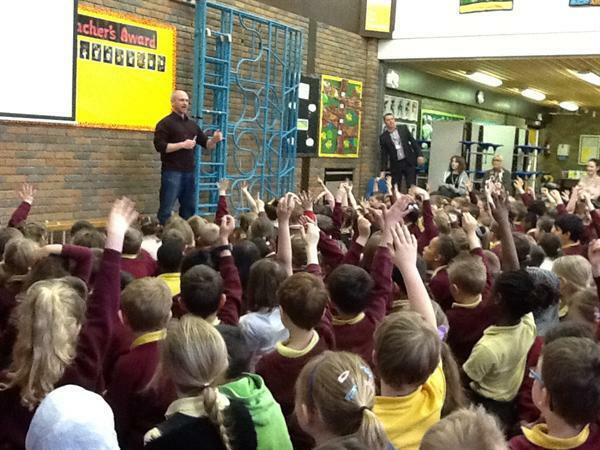 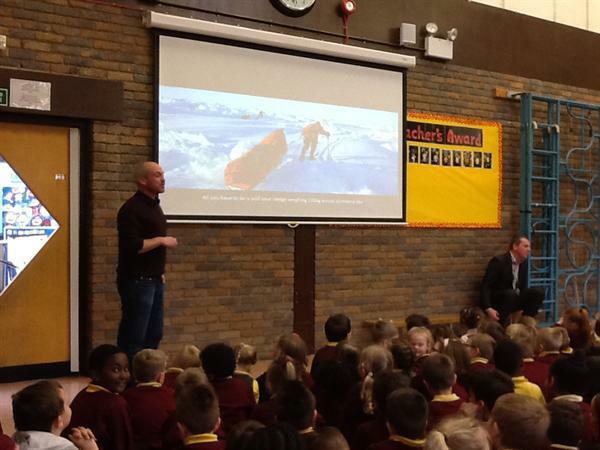 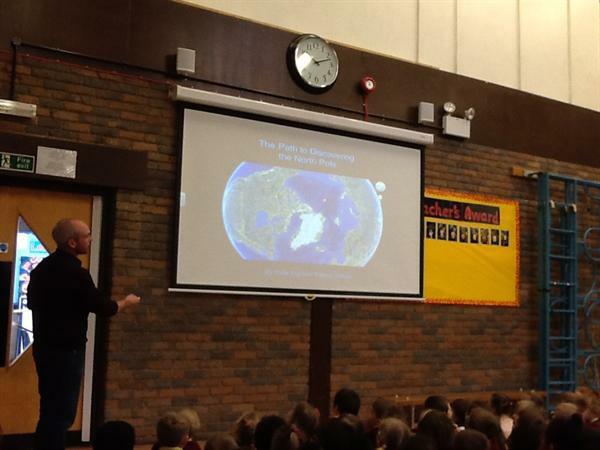 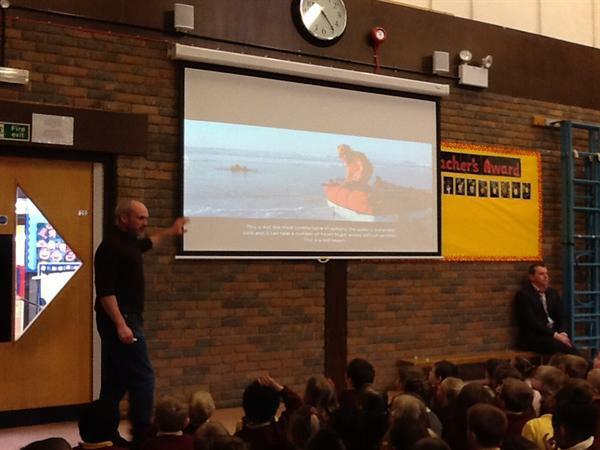 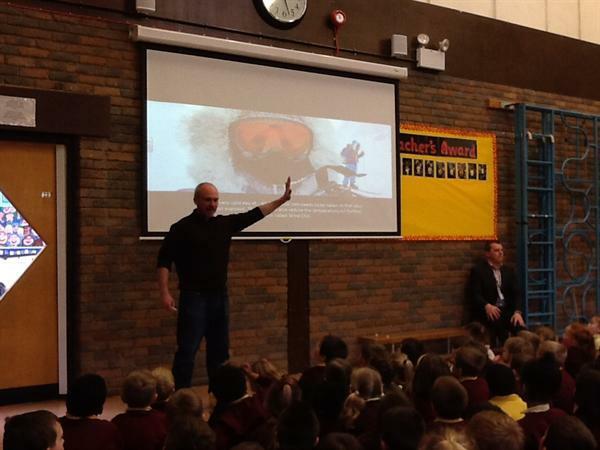 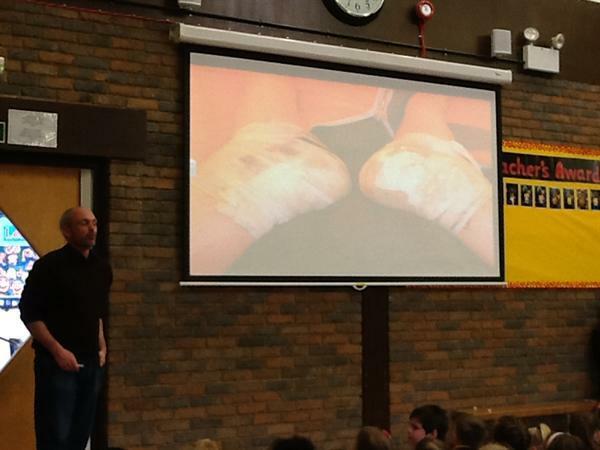 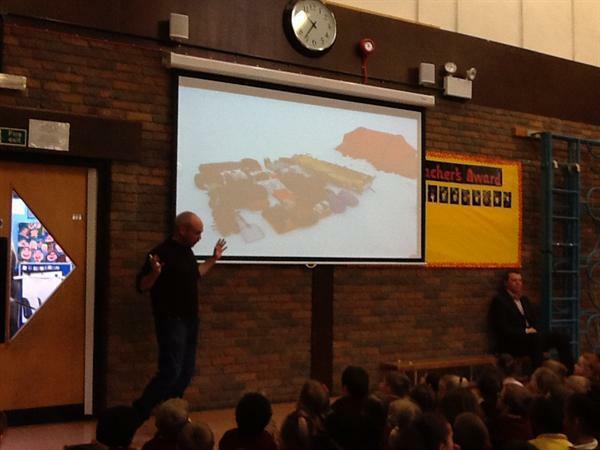 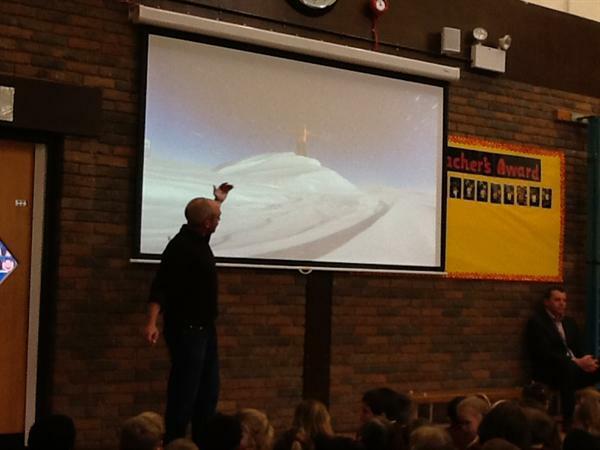 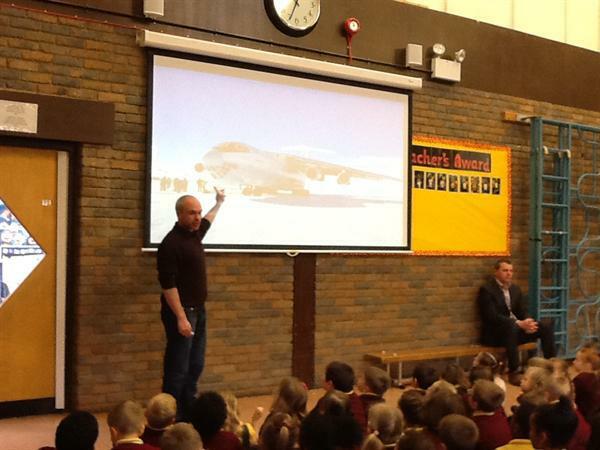 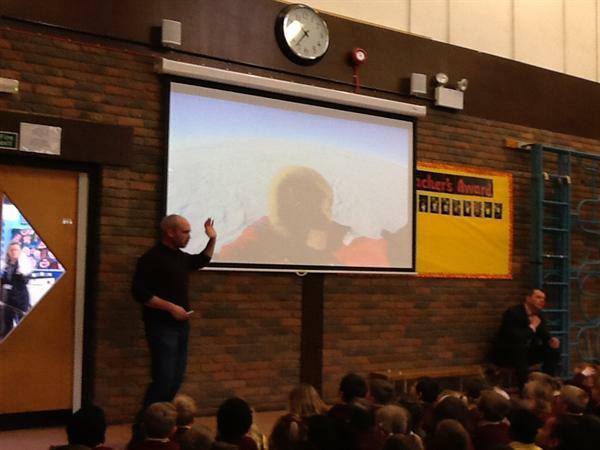 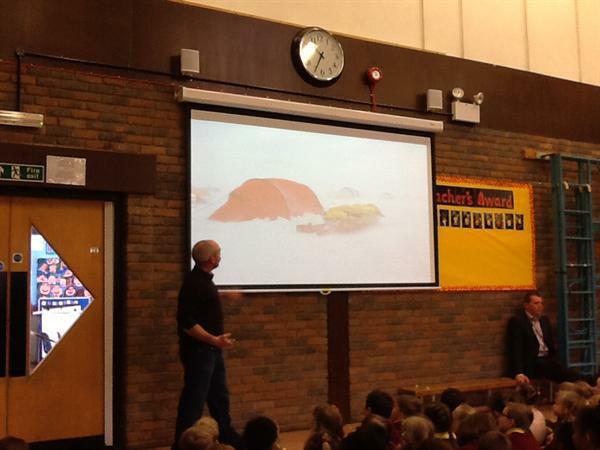 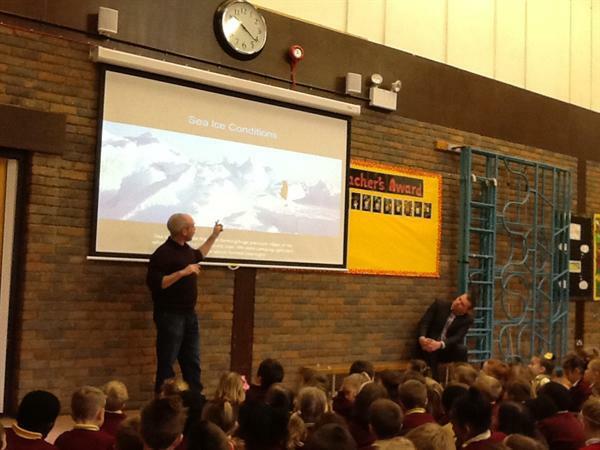 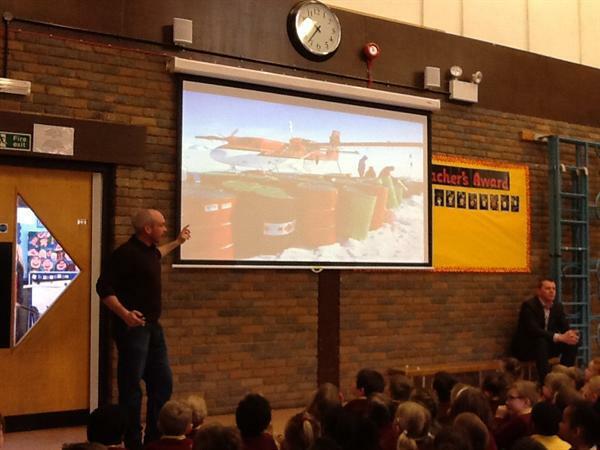 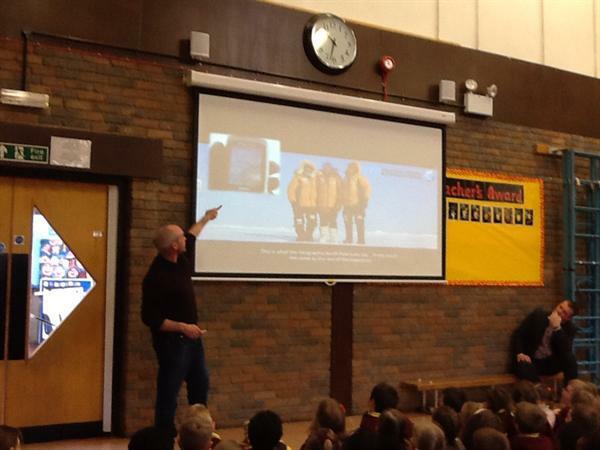 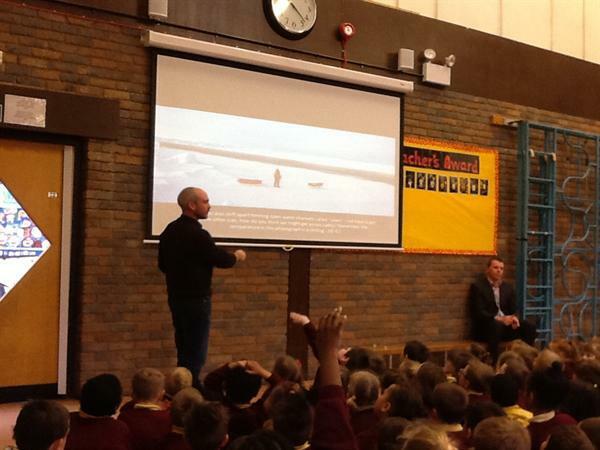 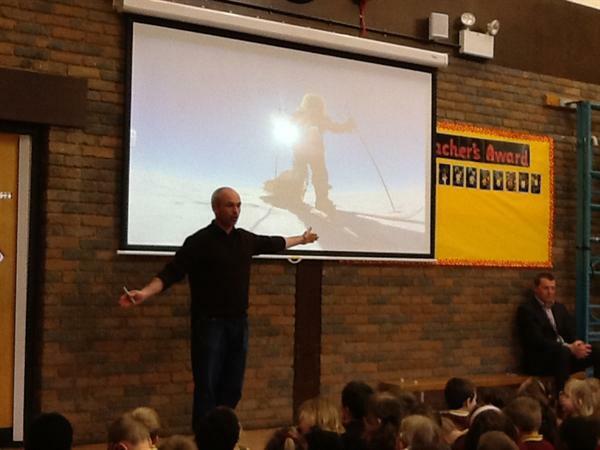 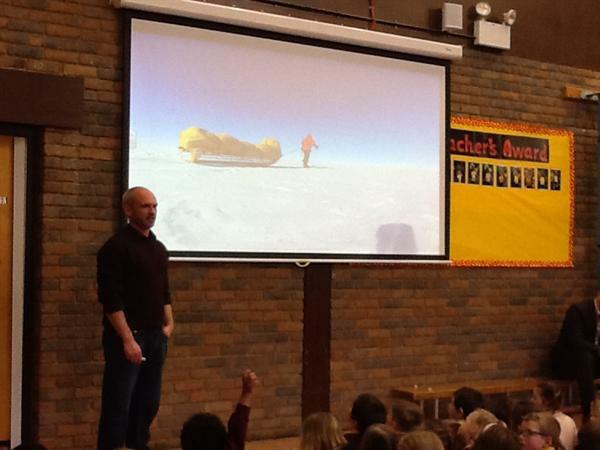 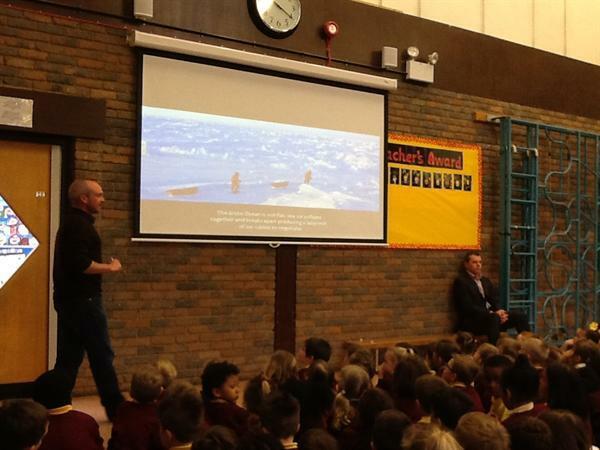 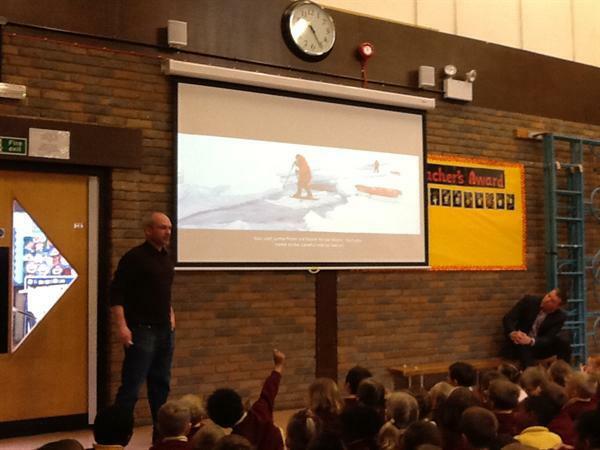 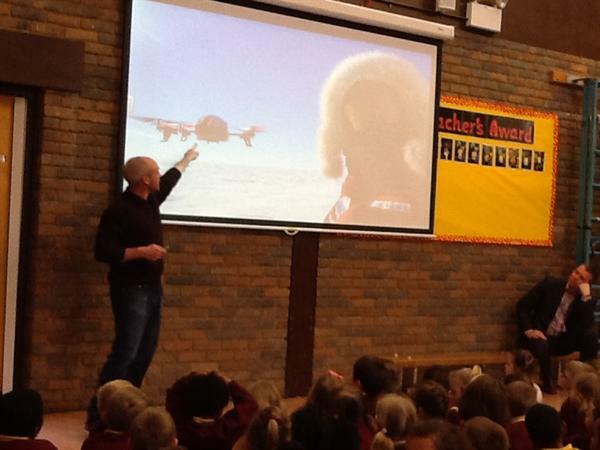 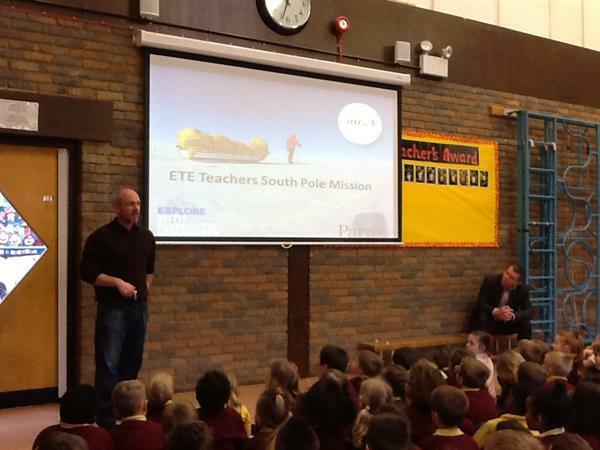 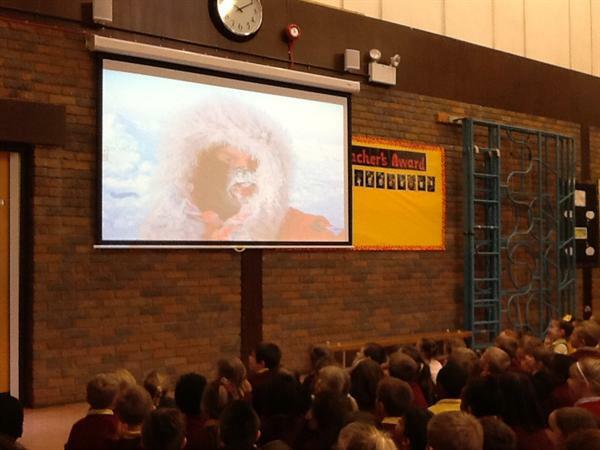 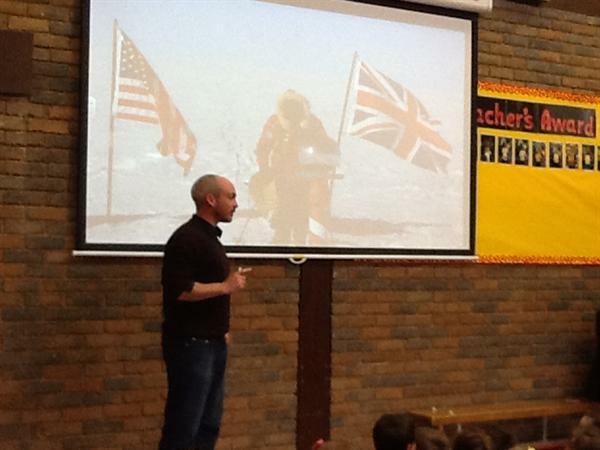 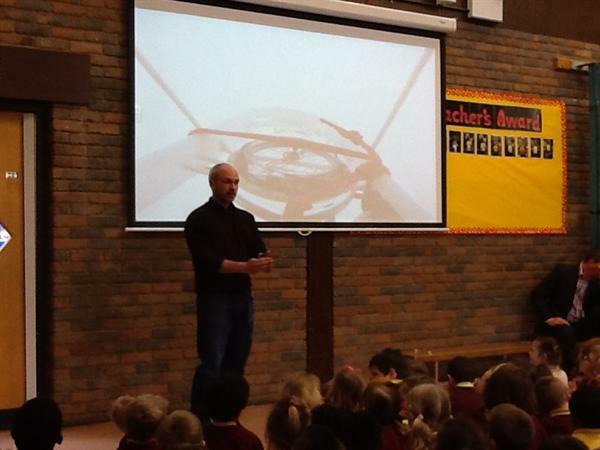 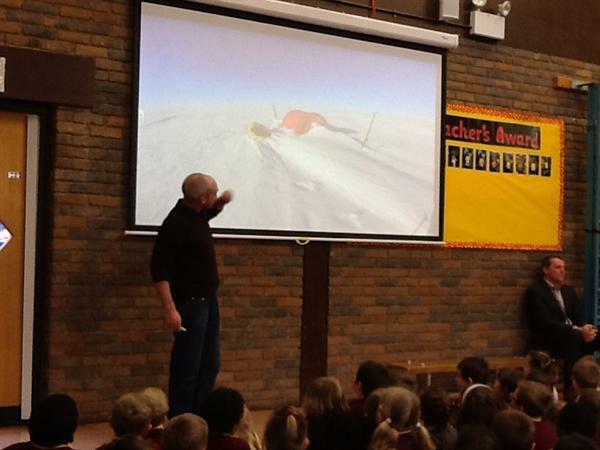 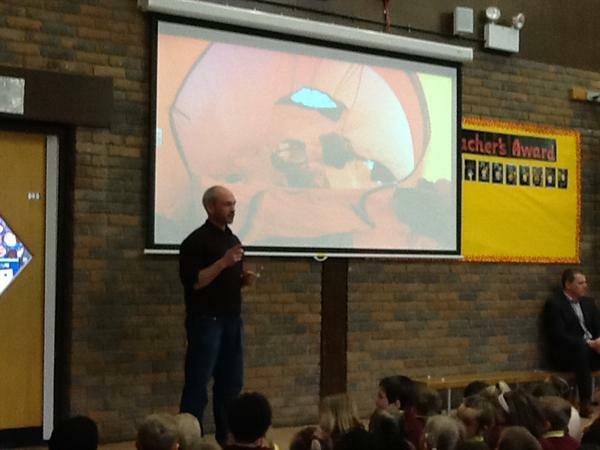 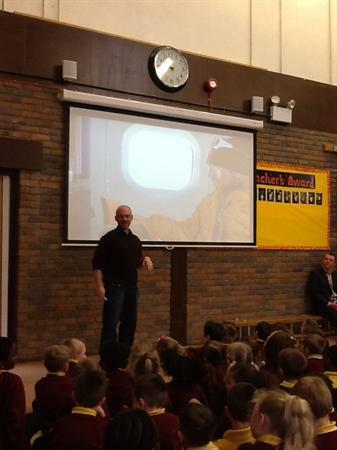 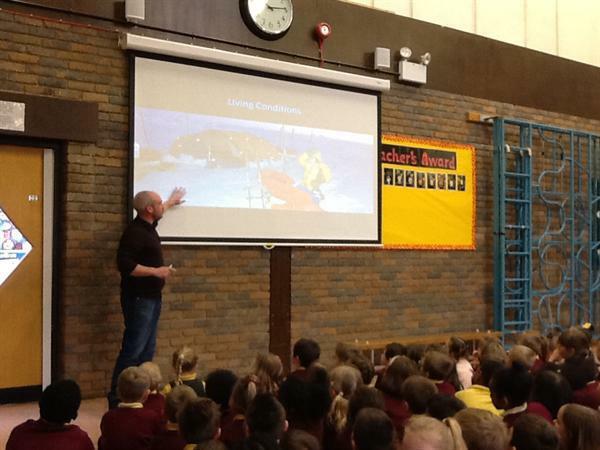 Antony Jinman has skied to both poles in his time as an explorer and shared his incredible journeys with us today (25.4.16). 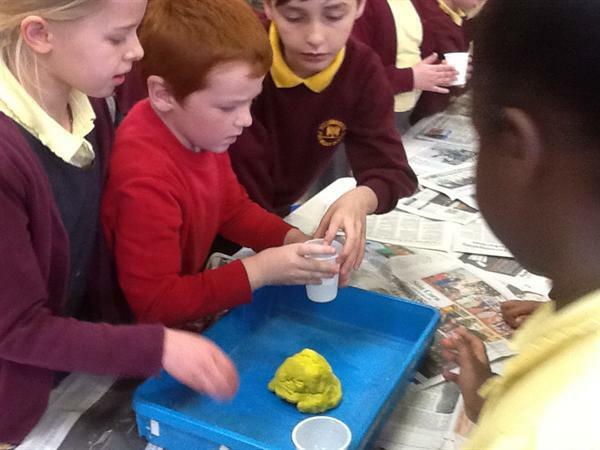 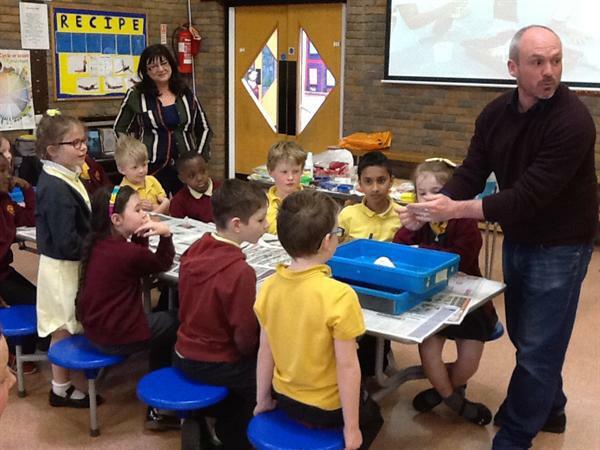 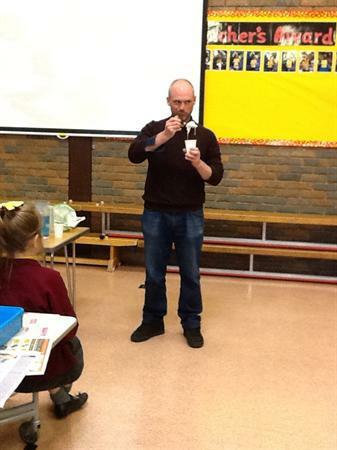 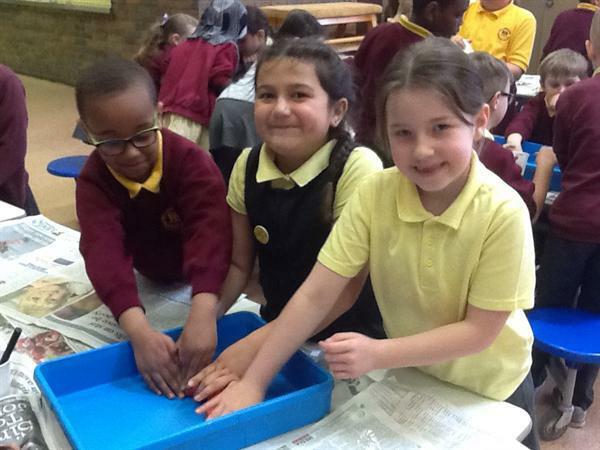 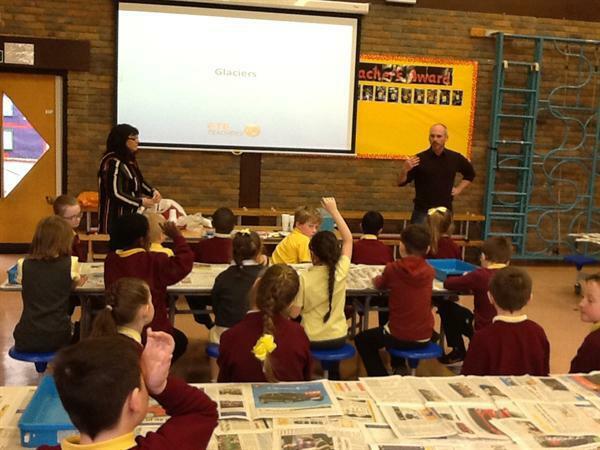 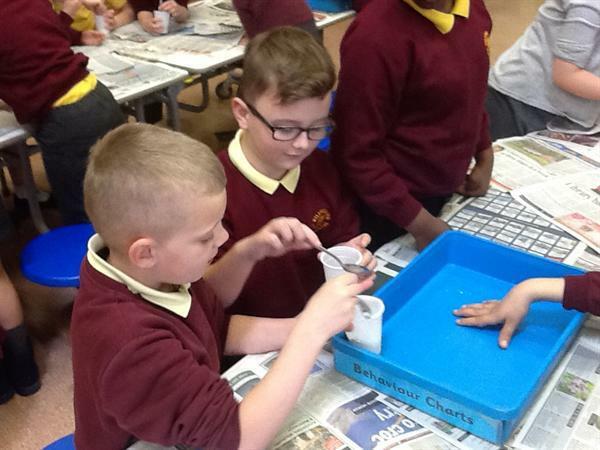 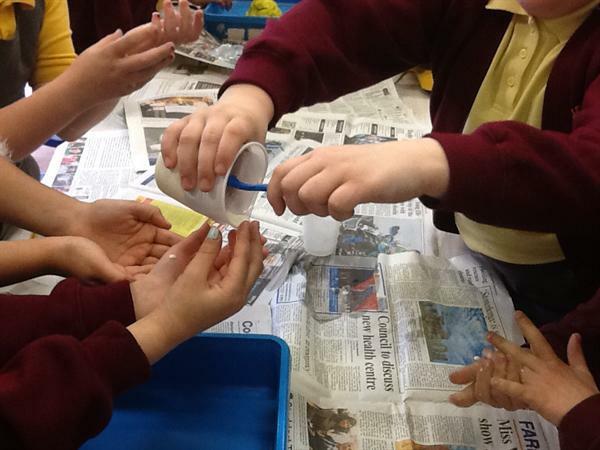 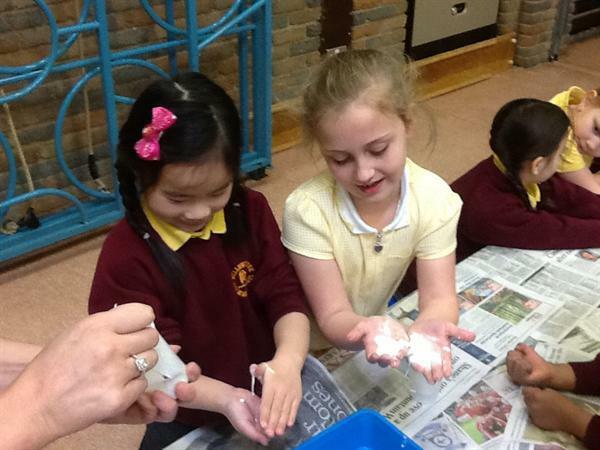 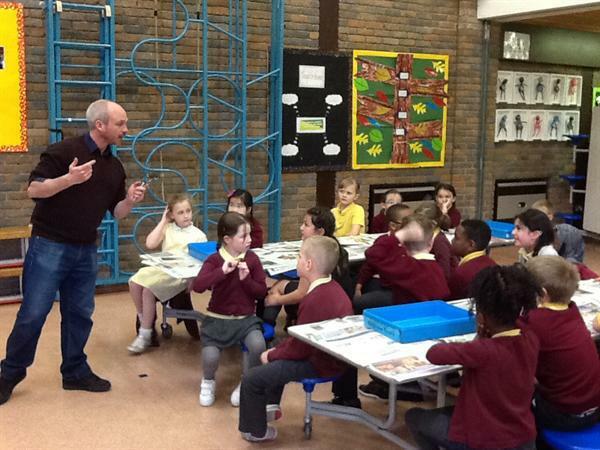 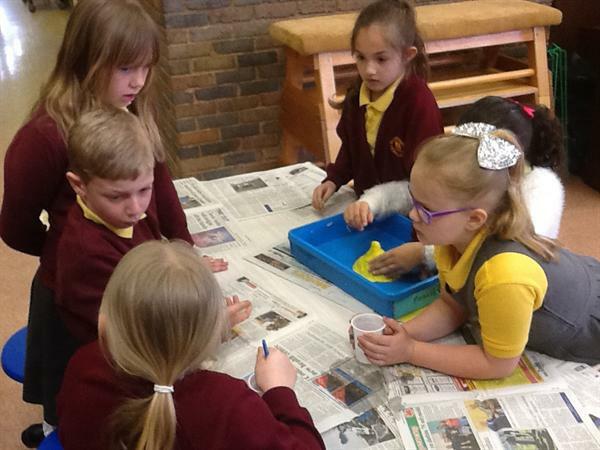 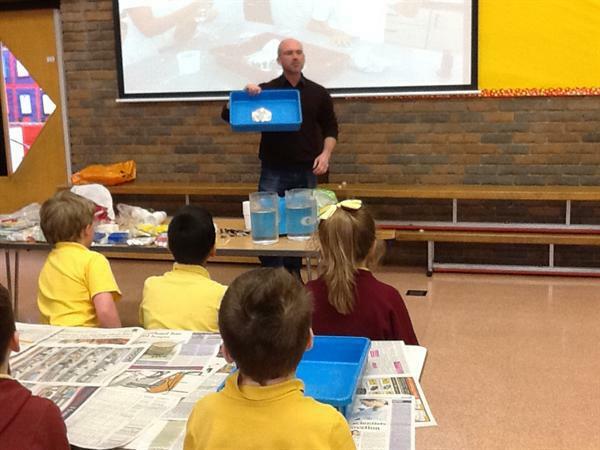 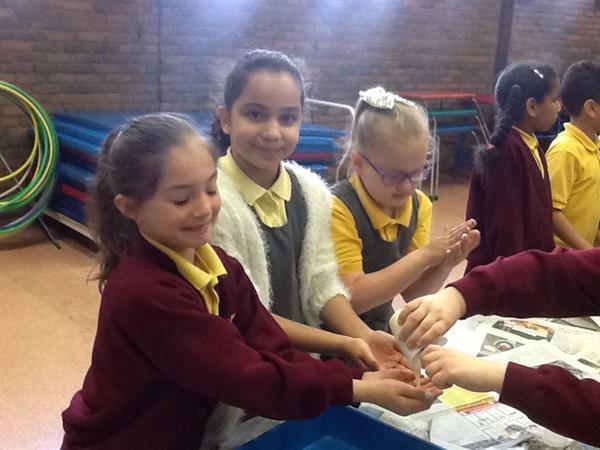 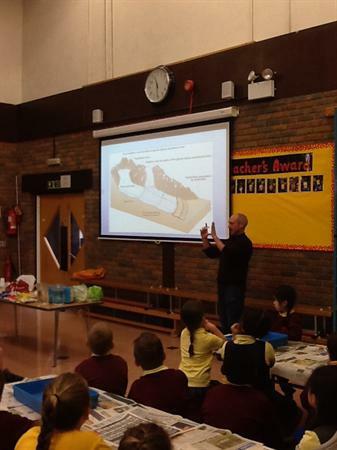 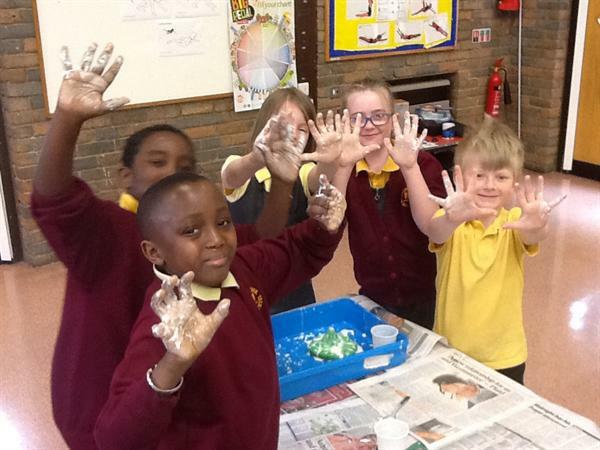 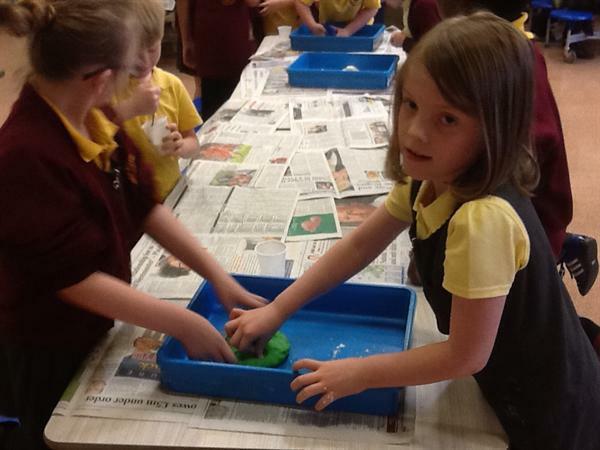 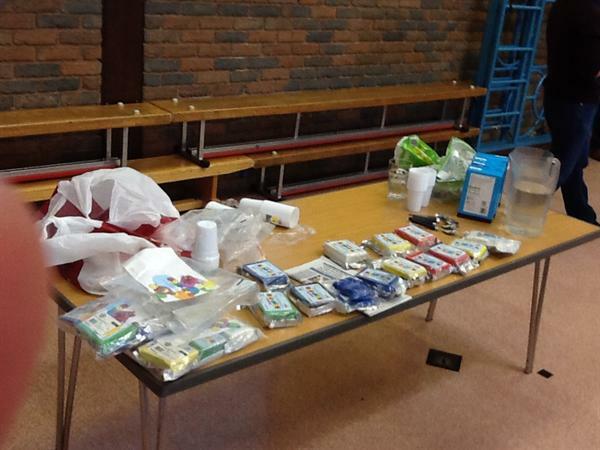 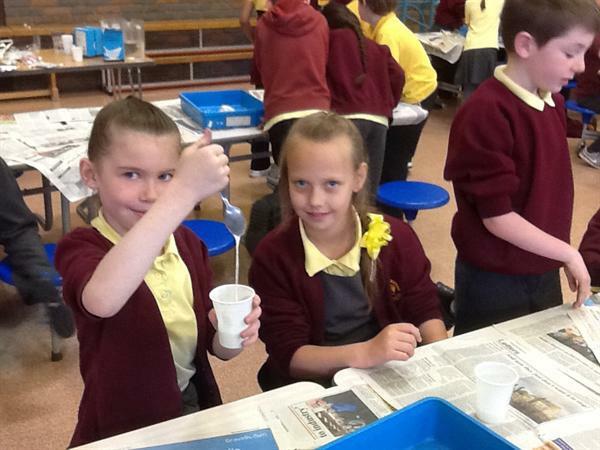 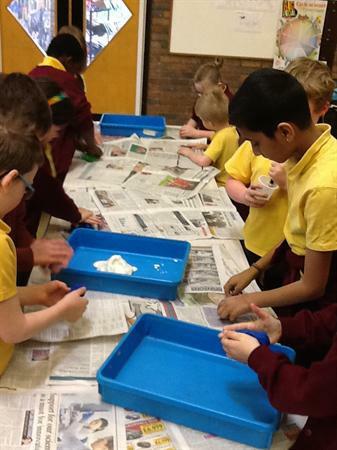 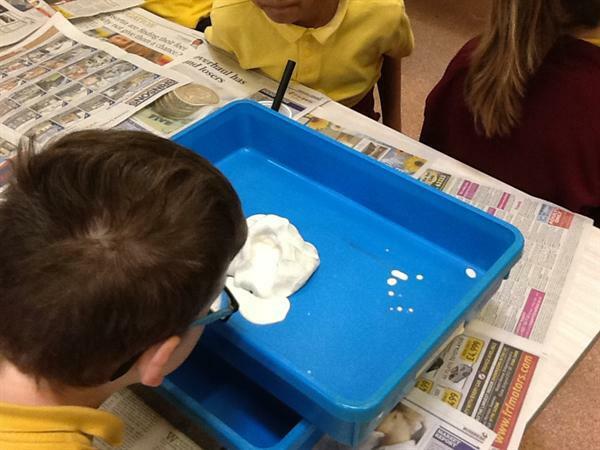 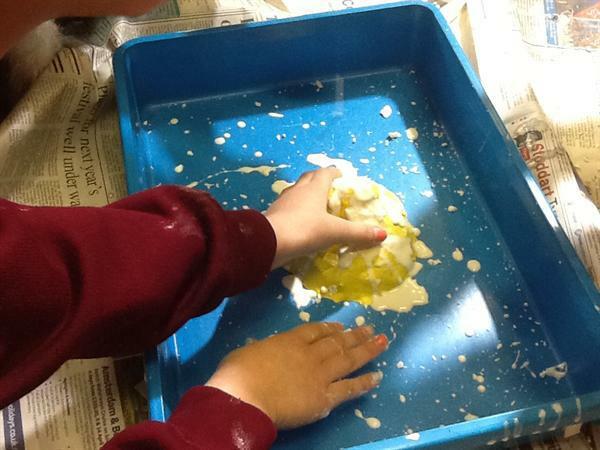 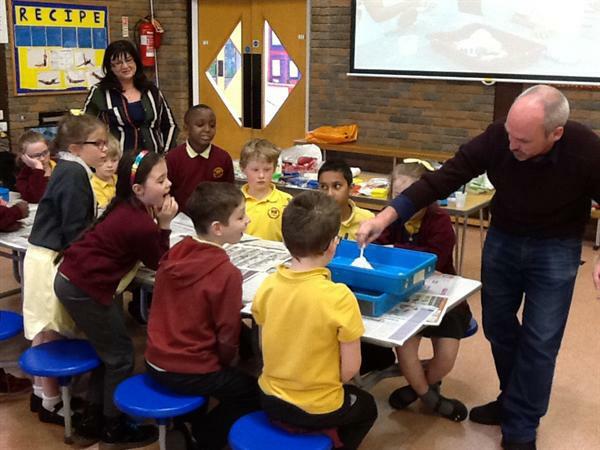 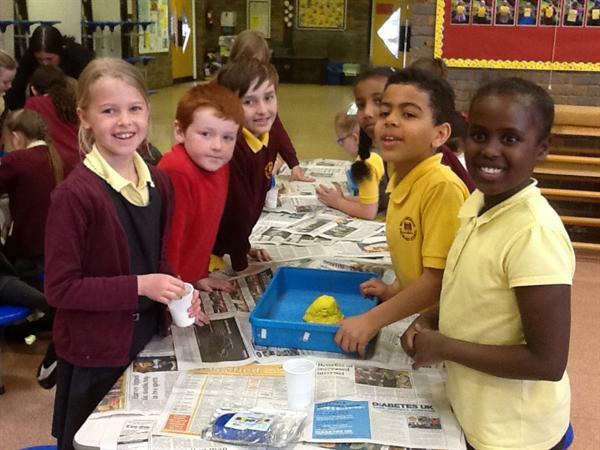 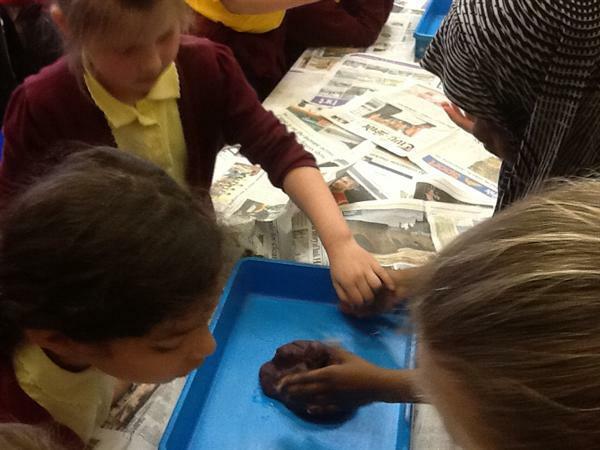 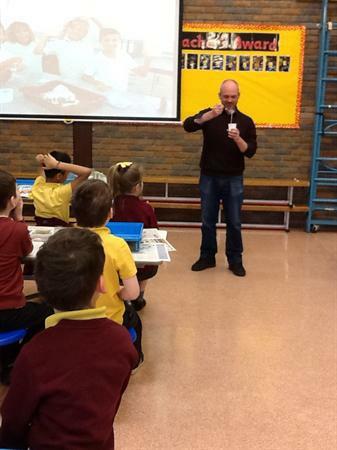 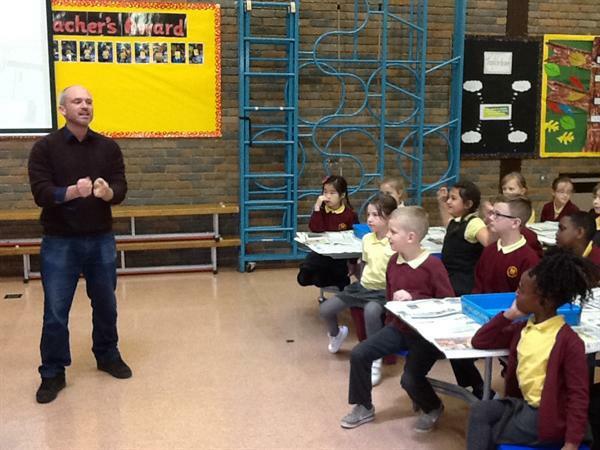 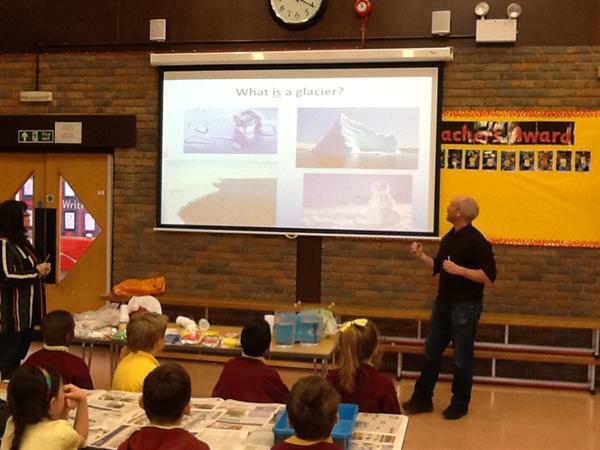 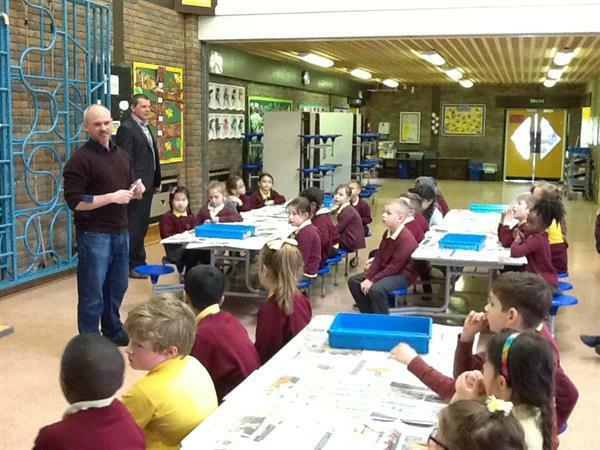 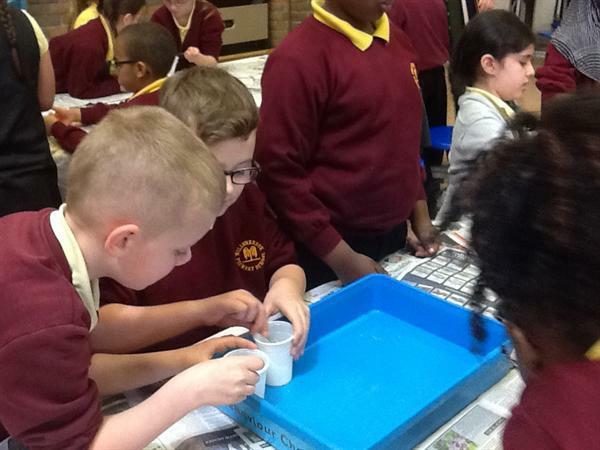 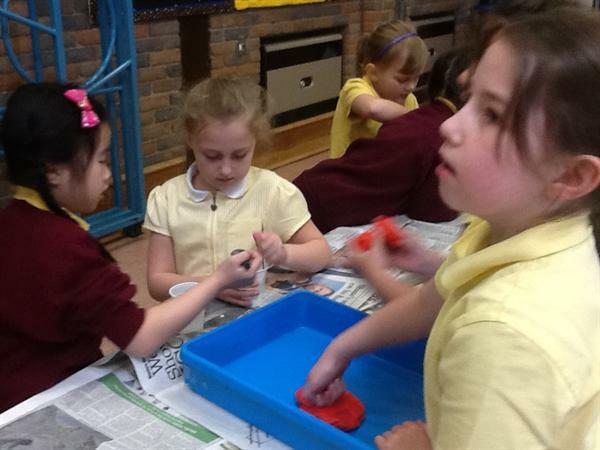 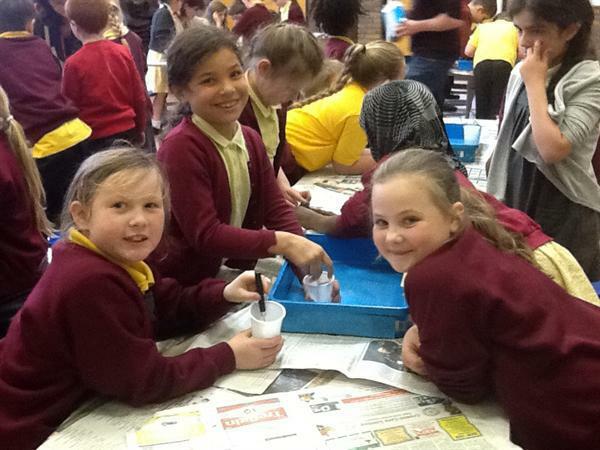 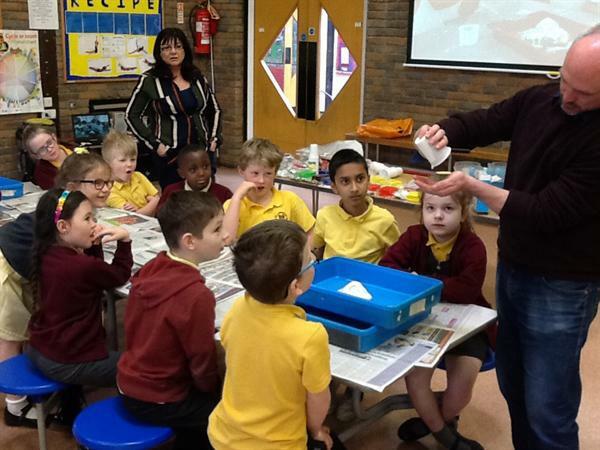 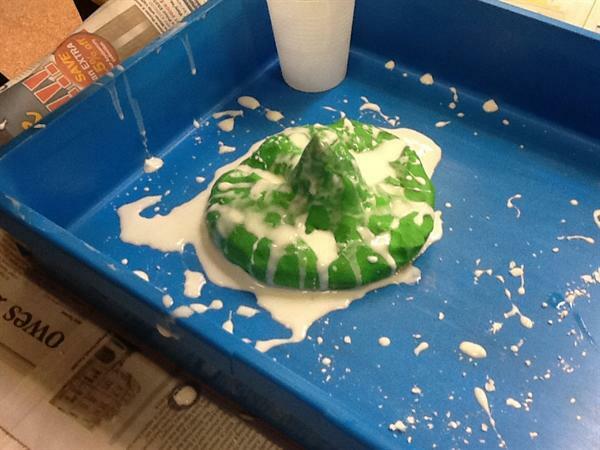 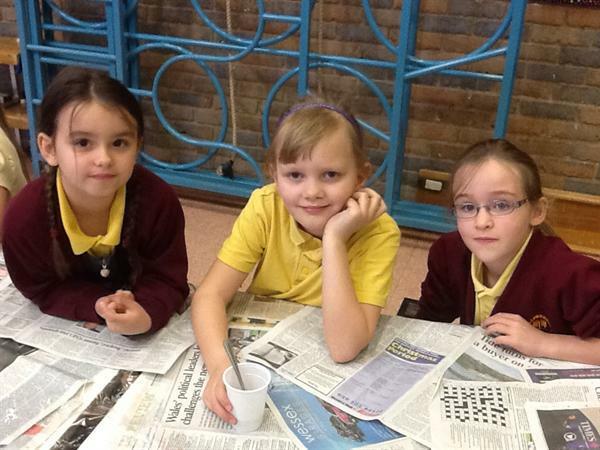 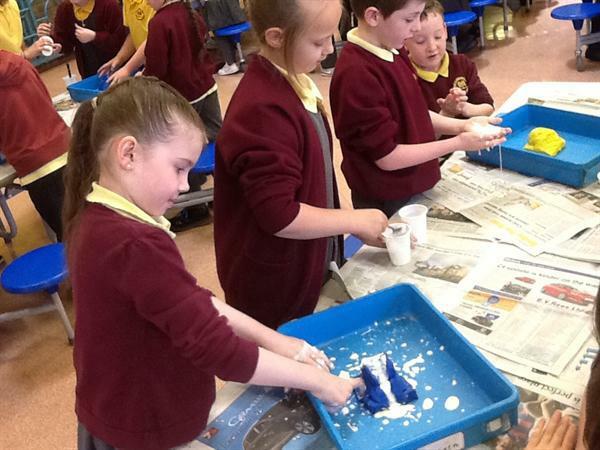 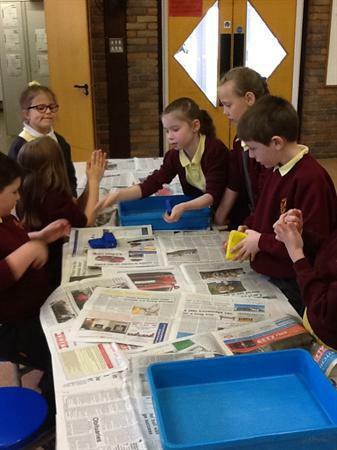 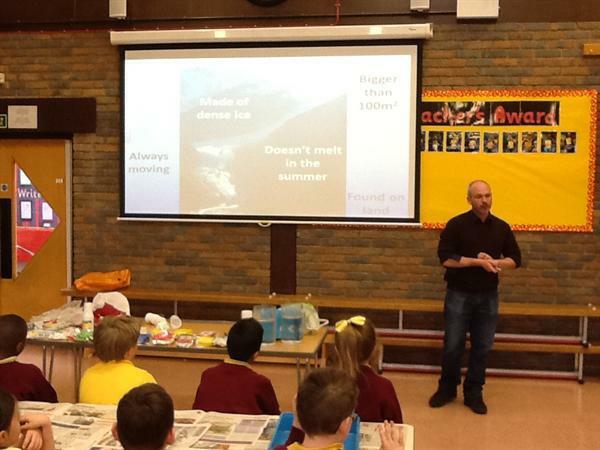 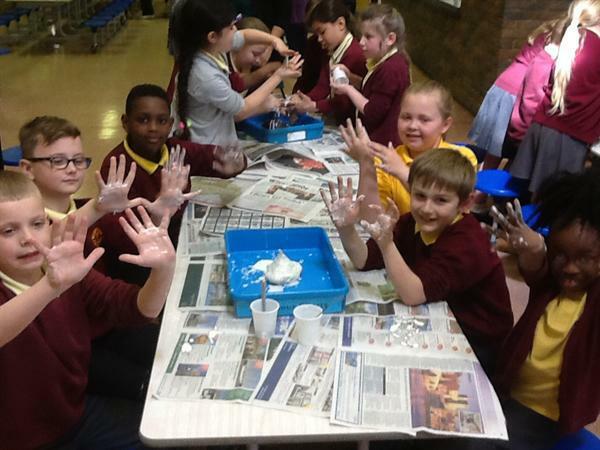 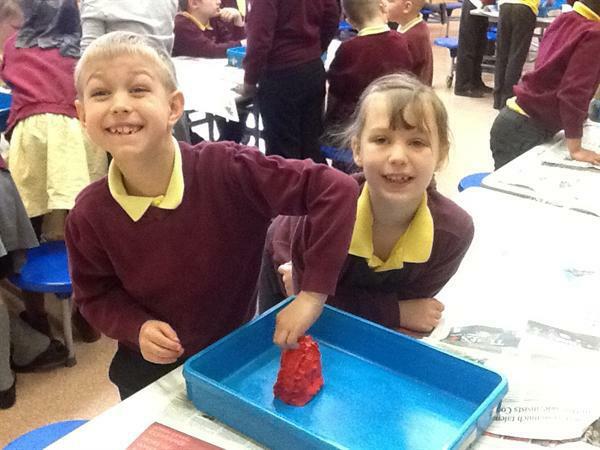 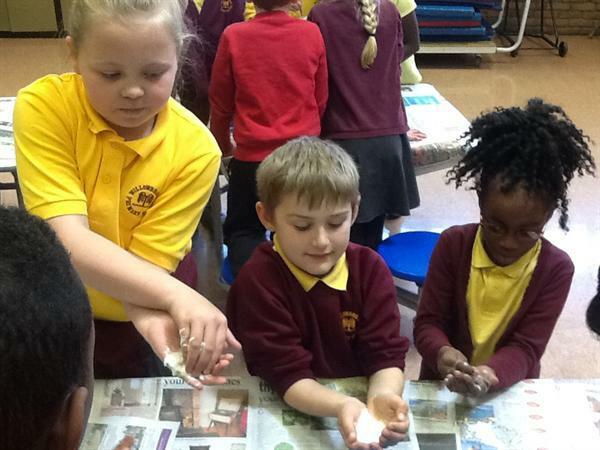 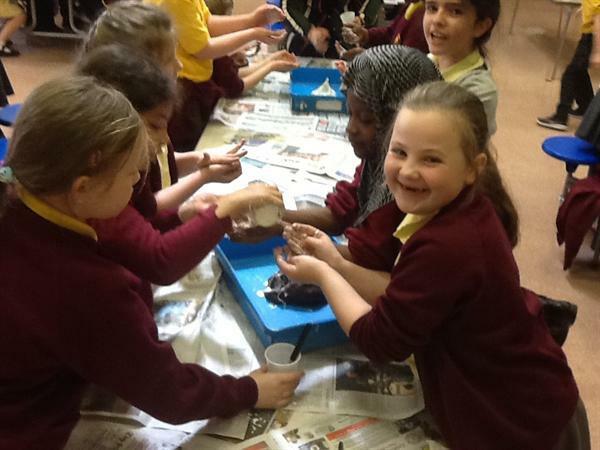 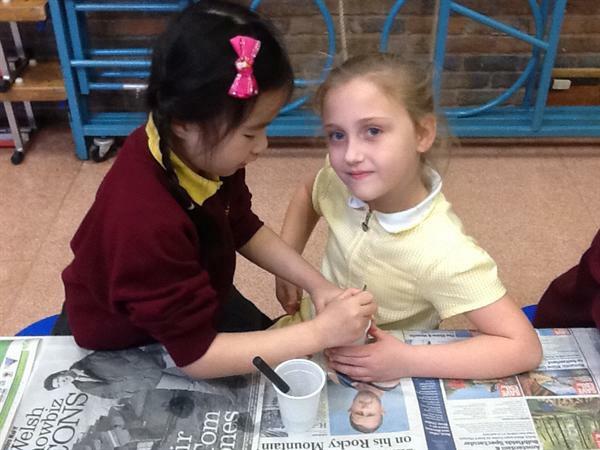 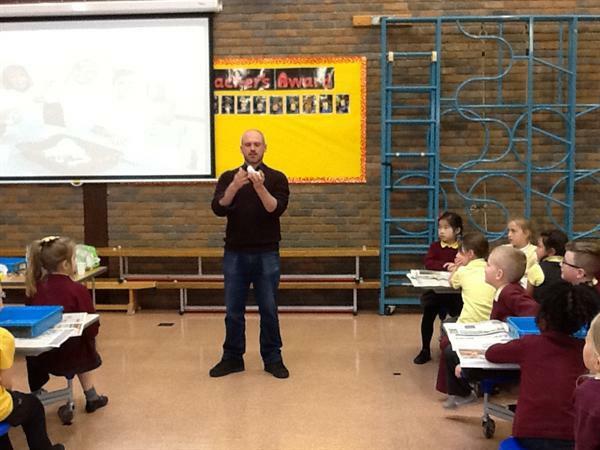 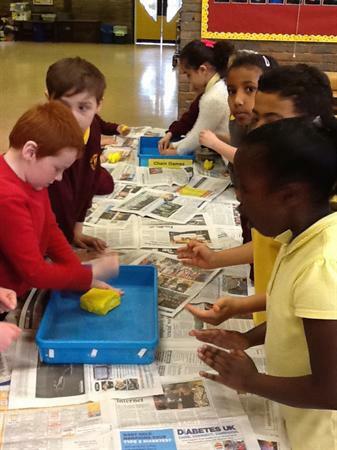 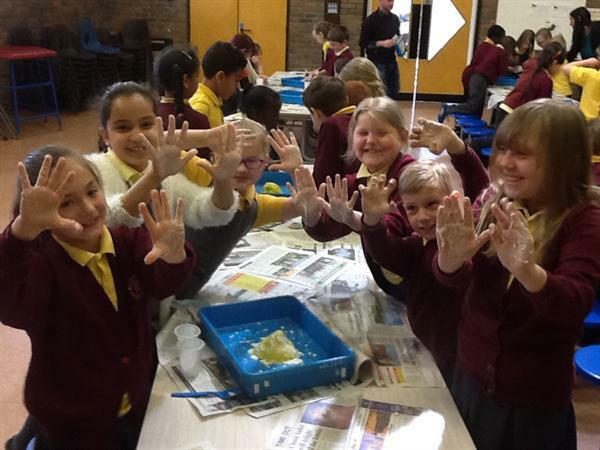 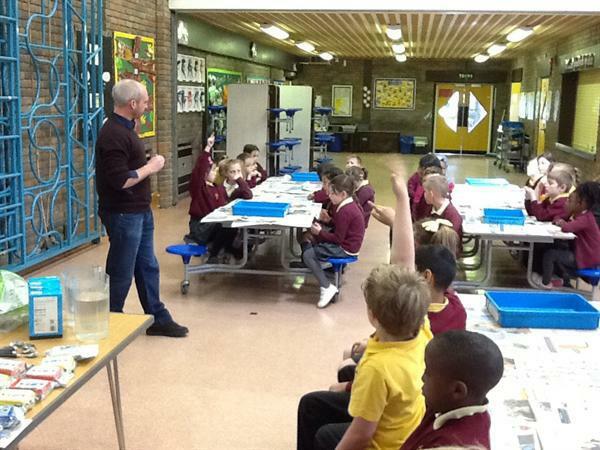 He also led two excellent workshops, the first on how to make a glacier using cornflour, plasticine and water with Year Three pupils. 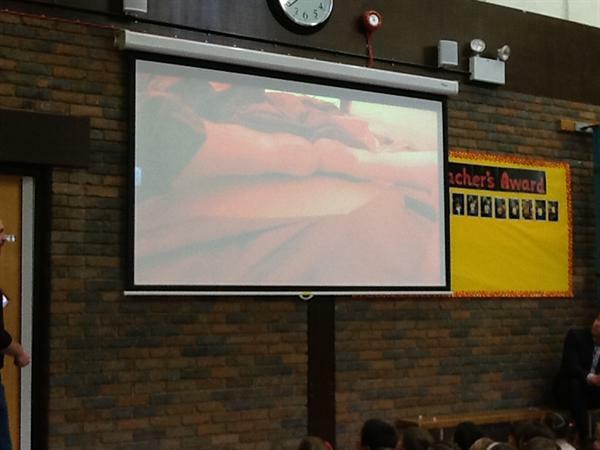 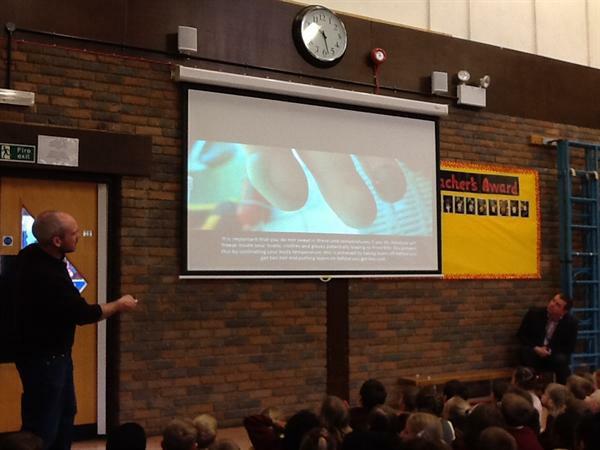 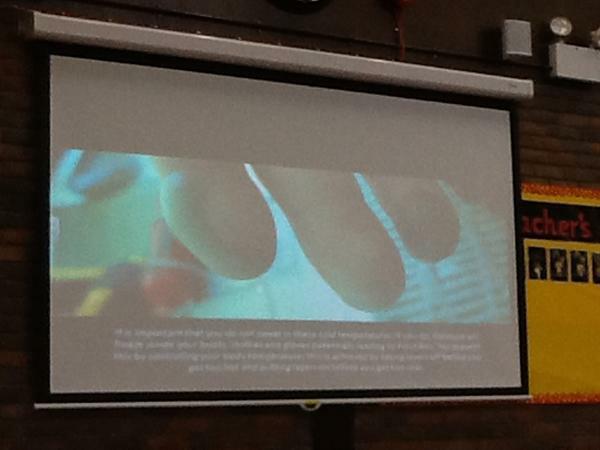 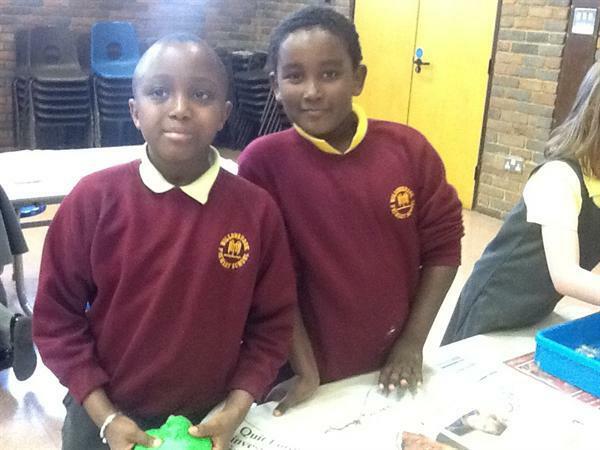 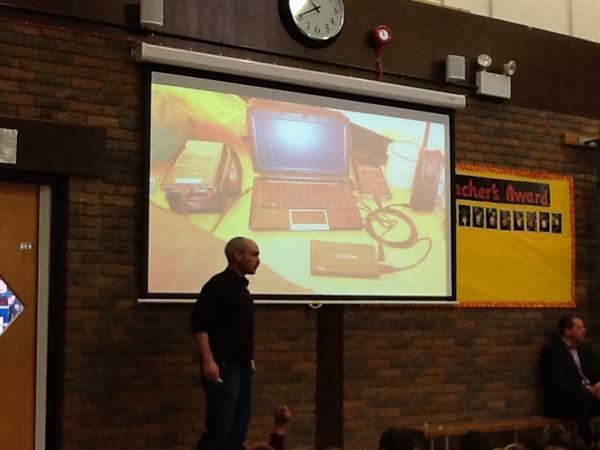 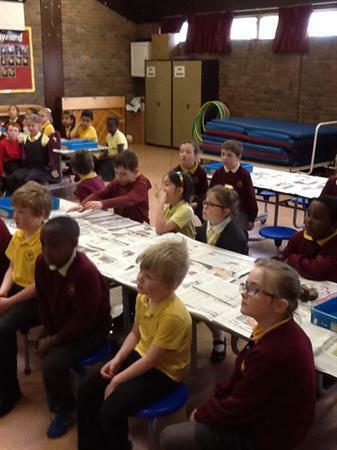 The second workshop gave Year Six the opportunity to learn more about the necessary equipment needed for an expedition and ask questions covering a wide range of interesting issues. 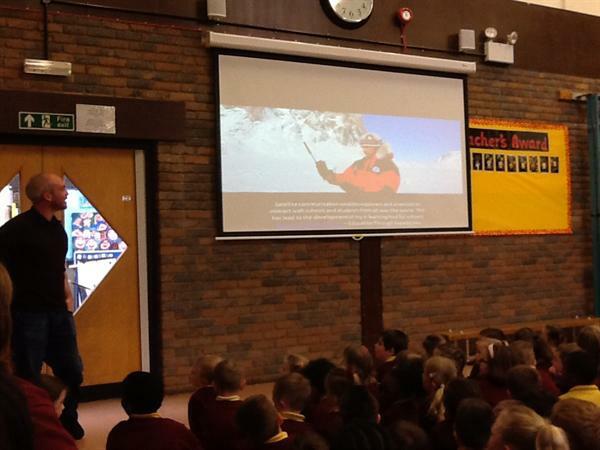 We are so privileged to have welcomed Antony to the school and when he next sets off on his journeys, we plan to email him with questions to find out via 'live link' how he is getting on!